Golden in colour, with just baked crispness our oatcakes are undoubtedly one of our signature products. All sorts of Ditty’s goodness, wrapped up and ready to go – one of our hampers makes the ideal gift, wherever you are in the world. Shortbread - cookie, biscuit or cake? Whatever you call it, our range of shortbread's are delightful. Buttery, golden, sweet and crumbly -why don't you try them and see! 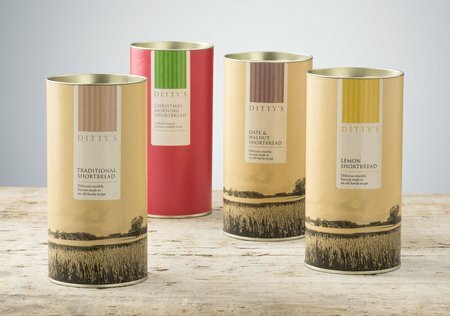 Welcome to Ditty’s, the home of traditional Northern Ireland craft baking. We’re a local, family-run business that’s been making our award-winning breads, cakes, biscuits, pies and of course, our famous oatcakes for many years. People still love them just as much today, as ever, here at home and increasingly all around the world. 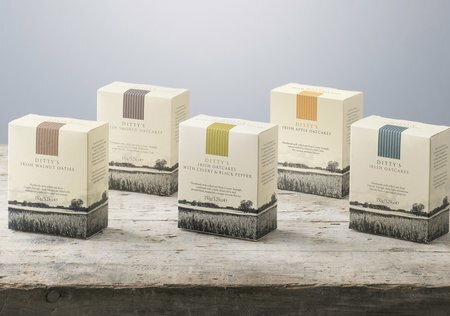 Traditionally made, using fine quality Irish ingredients, our oatcakes range is a true taste of Ireland – with a little twist. Enjoy them simply on their own or add your own toppings – sweet or savoury! We’re always busy making up hampers and sending them off all around the world. We offer a range of sizes and several different types, so there’s sure to be one that’s just right.